Sometimes I want a break from Romance, from Fantasy, and then I take a dip back in history. With these reads, as with most fiction I enjoy, I need to feel that events could have been real,. I hopefully get drawn into the story so I’m almost part of it, instead of a detached observer. This story did all that and more, I really felt for the characters, wondered about events, even knowing British history so I had an idea of what would happen. Samantha has stuck broadly to facts well known, but put her own interpretation on them. Thus all UK kids learn about King Richard putting his nephews into the Tower and that they disappeared, but we never really know, even now, if they died, escaped, were murdered, and if so by whom. Samantha has an interesting and plausible take on that. I enjoyed seeing Elizabeth grow, marry, have children and seeing figures I know as adults in history, Henry and Arthur, it was interesting seeing them as children. 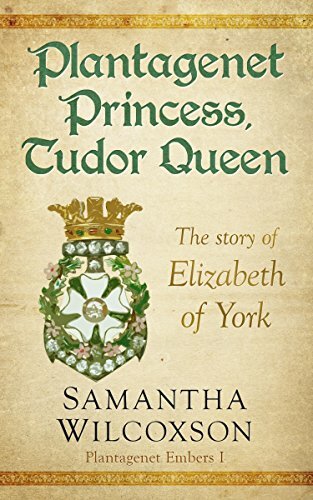 I enjoy reading about lesser known figures from history such as Elizabeth, and the childhoods of more well known people. An excellent read, had me swept up in the story, worrying for the families, and feeling sad for the girls who were married off as political pawns, and the boys who faced imprisonment or execution if there was a change of king. Tough times to be Royals. Stars: five, a great historical read, that drew me in and made me feel “there” with the characters.